At COVERGIRL we believe makeup is so much more than a cosmetic - it's an enabler of personal transformation and self-expression. This was the inspiration behind our new campaign, "I Am What I Make Up," which celebrates the unapologetic creation of whatever version of yourself you feel like being in the moment. Our new COVERGIRL Spring 2018 Collection has a new look and feel, but what remains unchanged are our values of authenticity, diversity, and the belief that transformational makeup should be available to all beauty lovers. From Bold Brows to the Perfectly Matte Lip, we cannot wait to see the looks you create! Please tag us using #COVERGIRLMADE so we can see how you uniquely make up. From your favorite COVERGIRL foundation line comes a matte formula that isn't drying or cakey. TruBlend Matte Made's formula is developed with flexi-hold technology that creates a strong, yet flexible film on skin for durability and comfort, while the mattifying powders absorb oil and minimizes pores for a soft matte, flawless finish. Up to 12 hours of wear. This soft brush concealer pen glides on smoothly to improve skin's texture. COVERGIRL Vitalist Healthy Concealer Pen contains a vitamin-infused formula which brightens your complexion for a fresh and healthy look. Give skin the perfect glow this COVERGIRL concealer. Part of our Vitalist Healthy Elixir family. Built-in hydration and a lightweight formula is the perfect combination for natural-looking flawless skin. Our setting powder is raising the bar on healthy hydrating makeup that gives skin that beautiful glow. COVERGIRL Vitalist Healthy Powder delivers moisture and diffuses the look of imperfections without ever looking cakey. Part of our Vitalist Healthy Elixir family. A trio of highlighters to create a customized glow for any occasion! Each TruBlend Super Stunner Palette is formulated for optimal payout to compliment varying skintones. The trio of shades from subtle highlight to super-sparkle can be blended together or worn alone. Customize and personalize your glow-up for whatever mood you're in! Enhance your brows with a bold touch. COVERGIRL Easy Breezy Brow Sculpting Set features a rich brow pomade and built-in angled brush. Create strong sculpted brows that won't stray with ease. Brows will look beautiful using COVERGIRL Easy Breezy Micro-fine Eyebrow Pencil. This brow pencil with a built-in spoolie has a micro-fine tip that lets you easily fill and define your brow. Best of all there is no sharpening required. 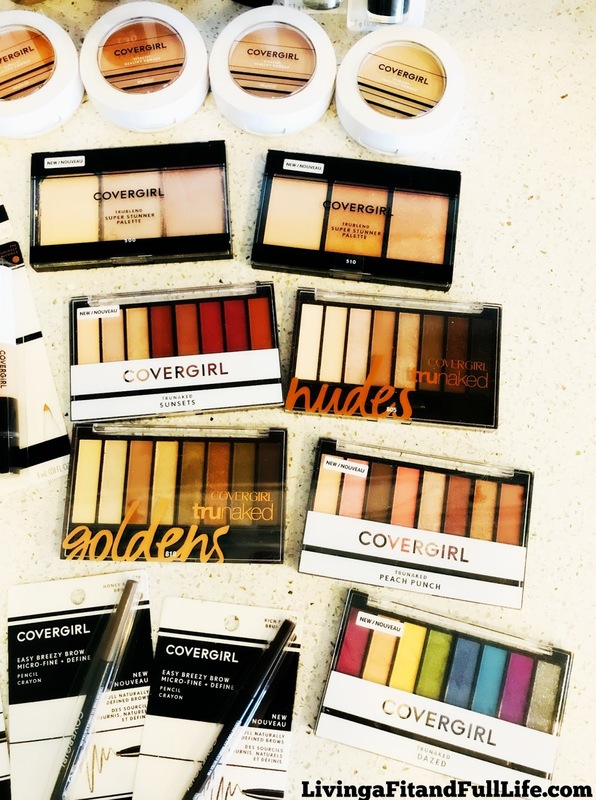 Check out some of my favorite COVERGIRL products for the ultimate fall makeover! 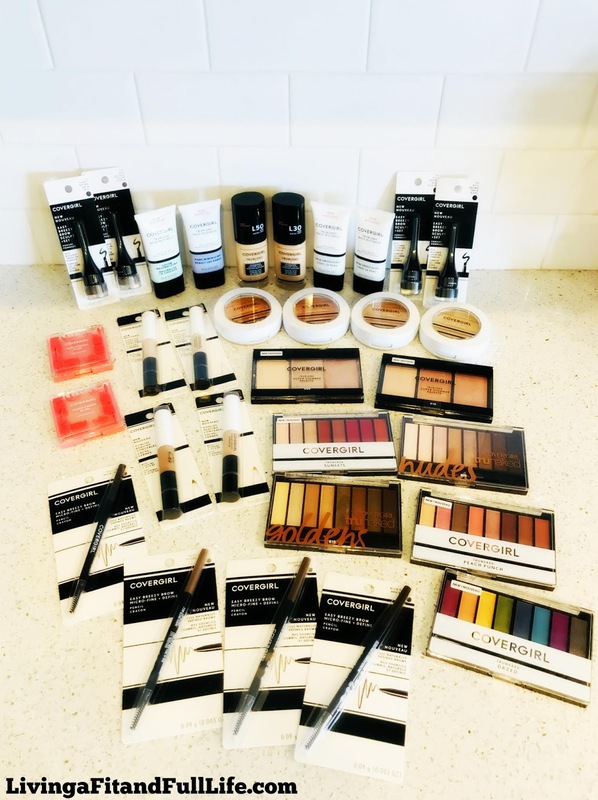 I had the pleasure of trying the COVERGIRL products above and boy was I impressed. It's been quite awhile since I've tried anything from COVERGIRL so I'm over the moon that I've found more than a few new favorites to improve my makeup routine! COVERGIRL's TruBlend Face Primer is an amazing primer! It's the perfect way to create a long lasting, flawless look. I also love that this primer comes in different formulas to address specific concerns such as color neutralizing, pore minimizing, skin smoothing and Illuminating so you can create the perfect canvas! Another amazing product from COVERGIRL is their TruBlend Matte Made Liquid Foundation! This matte formula allows for buildable coverage that isn't drying or cakey in the least. I also love that it helps to keep shine away and lasts all day long. COVERGIRL's Vitalist Healthy Concealer Pen is extremely fun to use and I love the results! It glides on with ease to brighten and conceal for a healthy complexion. COVERGIRL's Vitalist Healthy Setting Powder is a lightweight formula that gives you a healthy glow. It definitely seems to deliver some moisture and keeps my makeup in place. I'm definitely in love with this setting powder! TruBlend Super Stunner Highlight Palette from COVERGIRL helps you create a customized glow you'll love! This trio of highlighters allows you to create a subtle highlight or an intense super-sparkle. It's the perfect way to add a little glow power to your makeup routine! COVERGIRL Easy Breezy Brow Sculpt + Brow Pomade is a super easy way to sculpt your brows with ease. I found it very easy to use and love how well it stayed on throughout the day! COVERGIRL Easy Breezy Micro-Fine Fill + Define Eyebrow Pencil is the perfect way to fill in your brows! It allows perfection thanks to it's micro-fine tip and built-in spoolie. TruNaked Eyeshadow Palettes from COVERGIRL are a palette lover's dream come true! There's nine different palettes available and since they're super affordable you can try out as many as you want without breaking the bank. The shades are amazing and I love how intense the colors stay even when applying. They're also extremely blendable allowing you to create the perfect look! 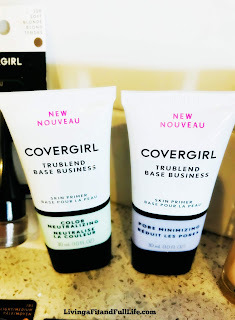 COVERGIRL has definitely left me impressed! 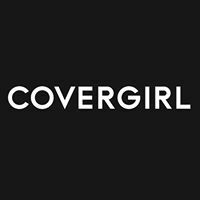 Click HERE to learn more about COVERGIRL! Follow COVERGIRL on social media! Get Thick Healthy Hair this Fall with Nanogen! Get Beautiful this Fall with Shiseido!